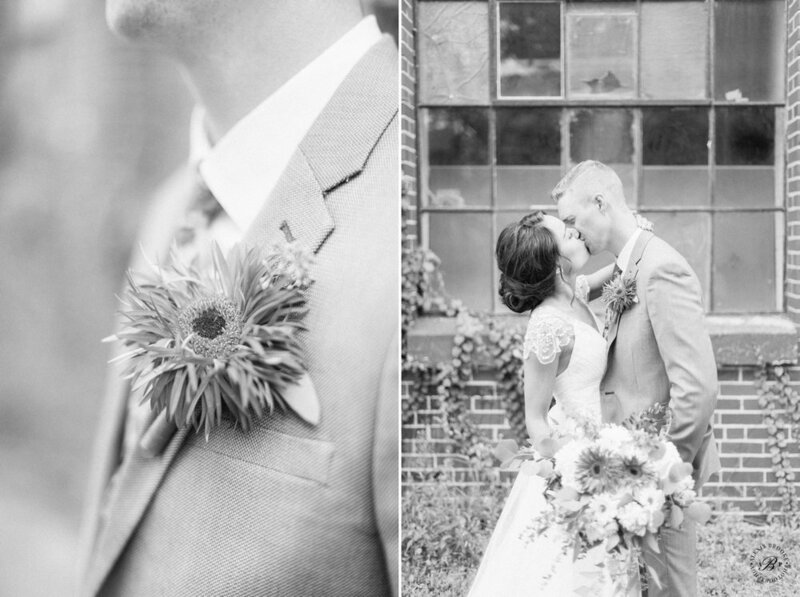 Ashley and Michael have known each other their whole lives. 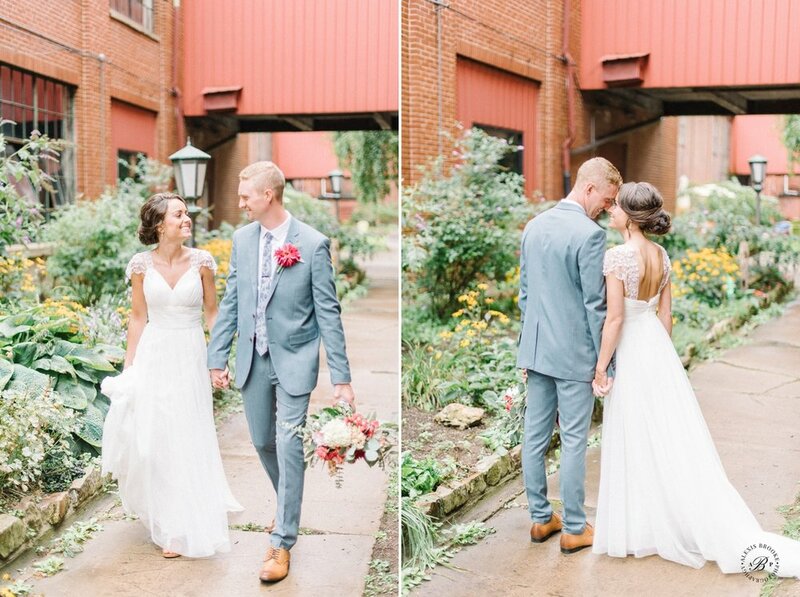 Ashley has been best friends with Michael's sister for what seems like forever, so it was inevitable that the two started dating. 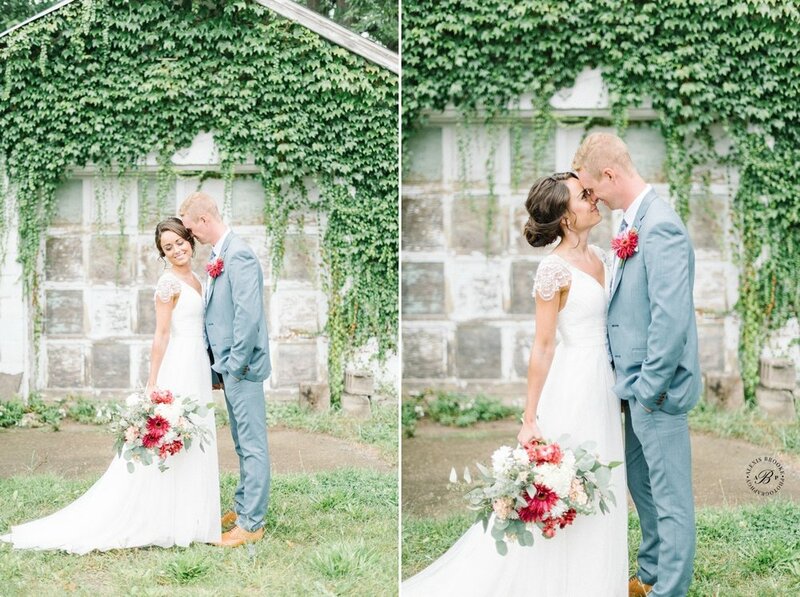 After 3 years of dating, they made it official when Michael proposed to her in Central Park. 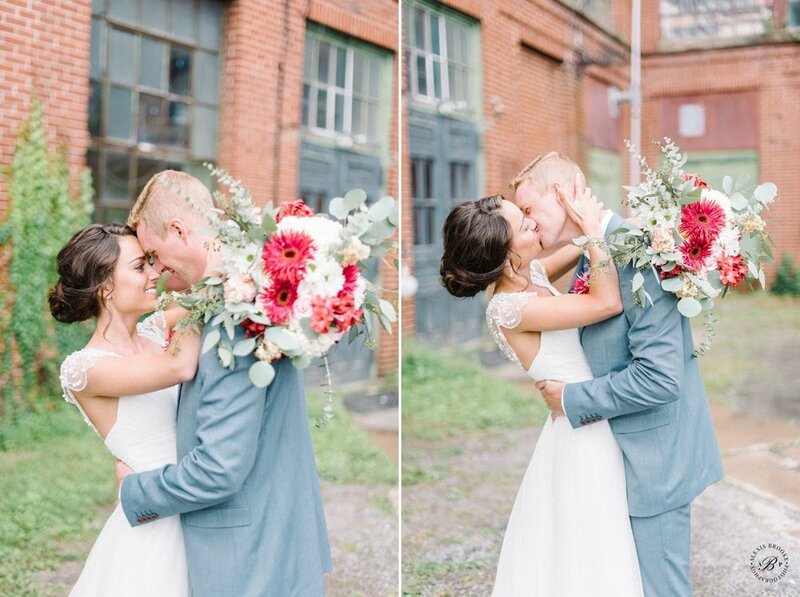 The wedding was held in Williamsport and the couple was surrounded by so many of their loved ones. 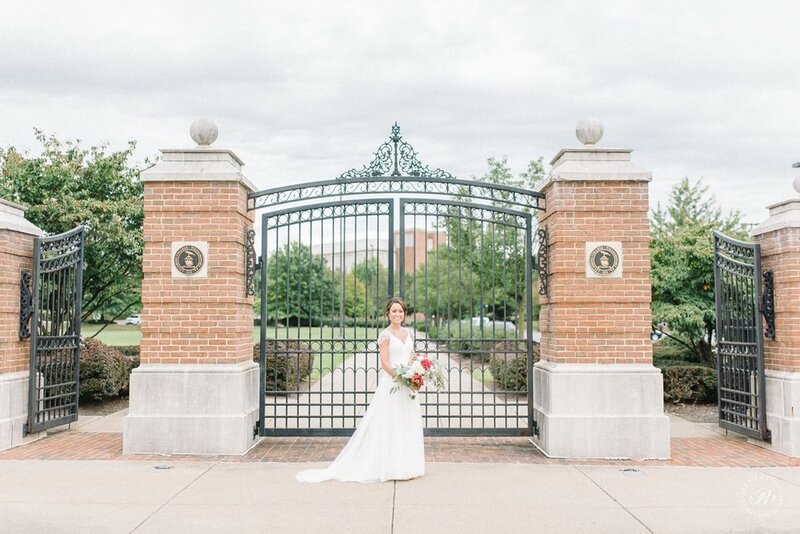 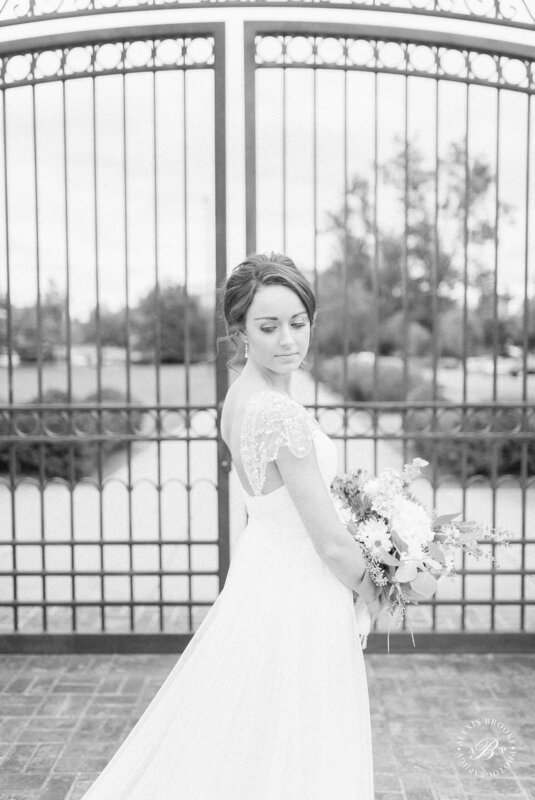 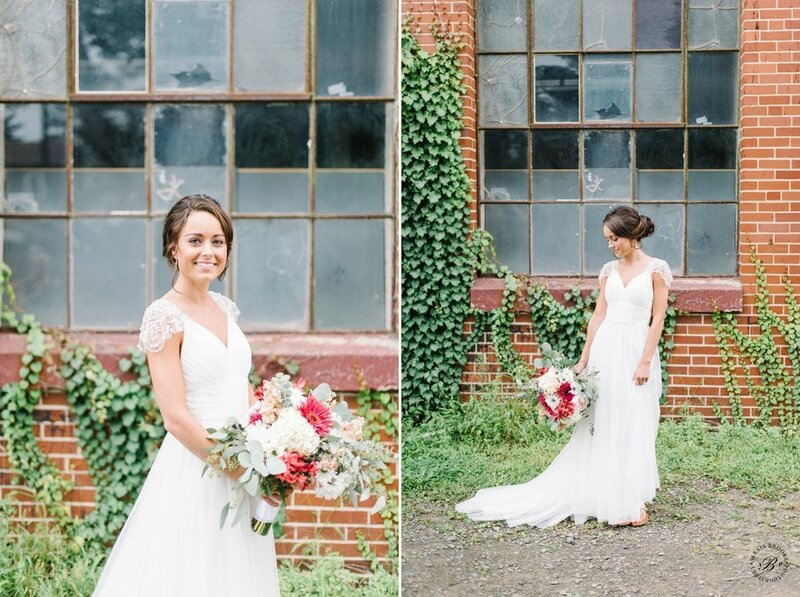 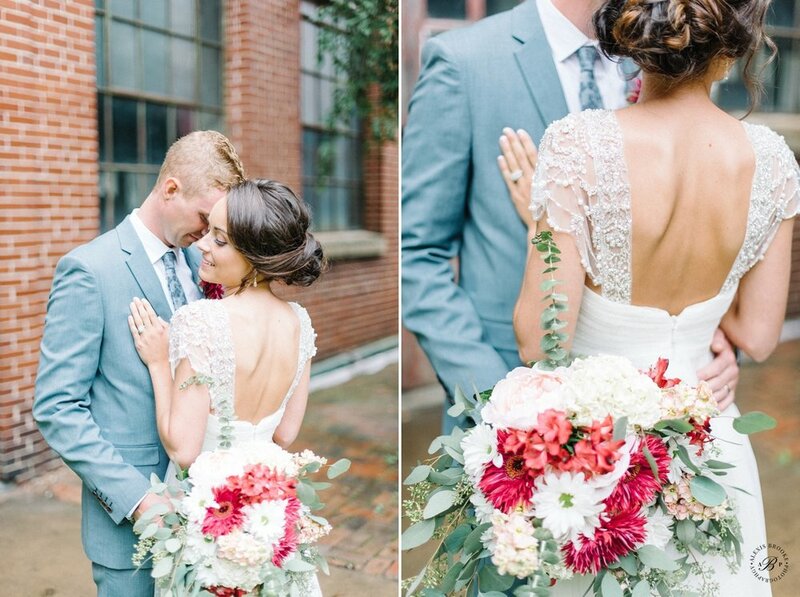 Ashley wore a beautiful gown from Diamonds and Lace with lace capped sleeves. 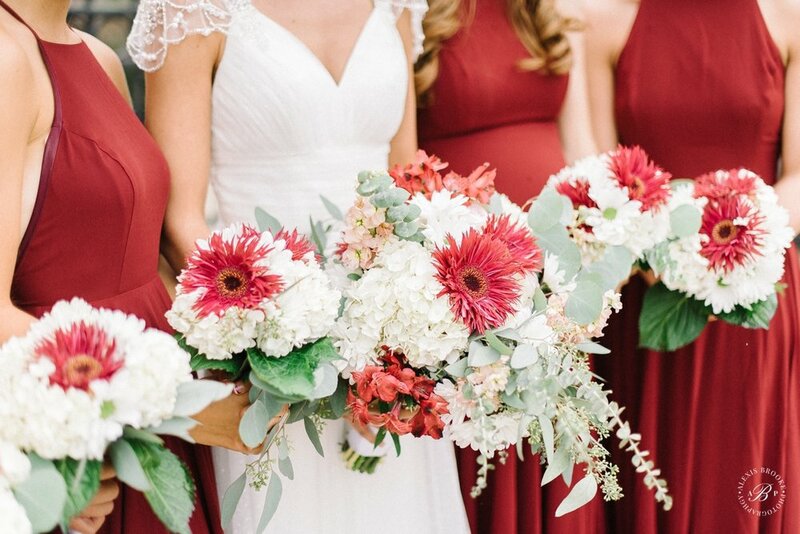 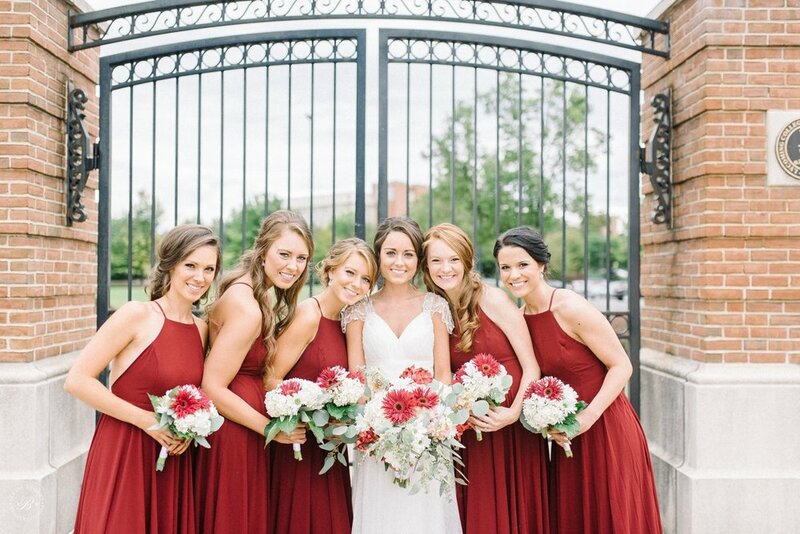 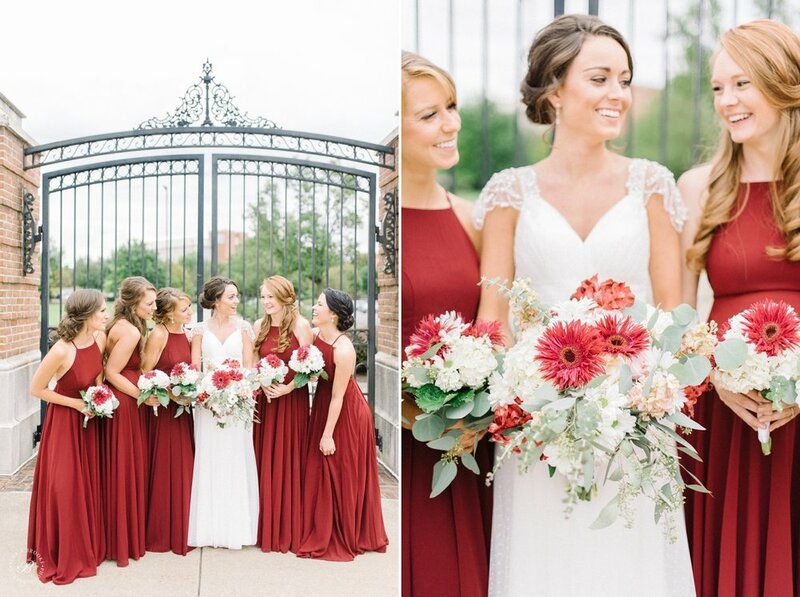 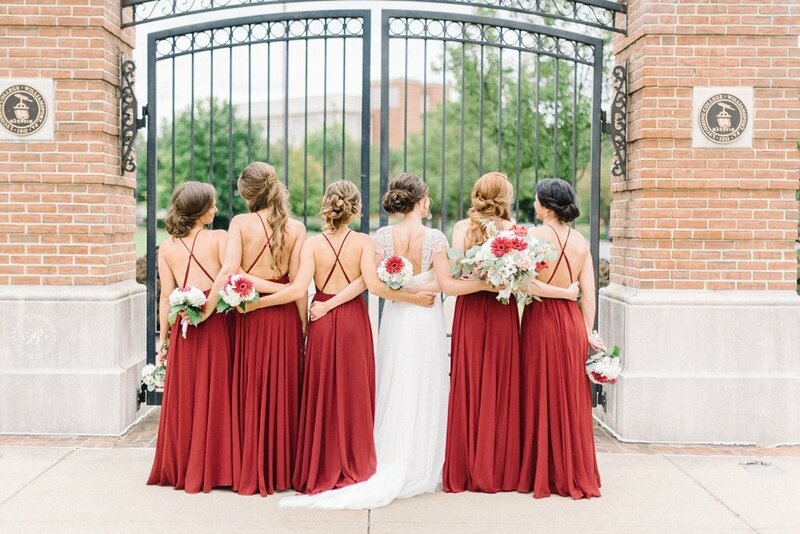 The bridesmaids wore a beautiful shade of deep red, the perfect color for a September wedding. 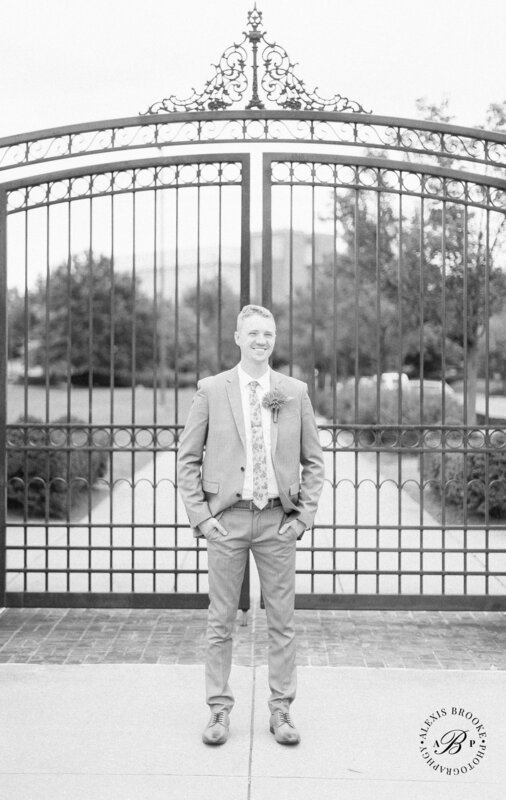 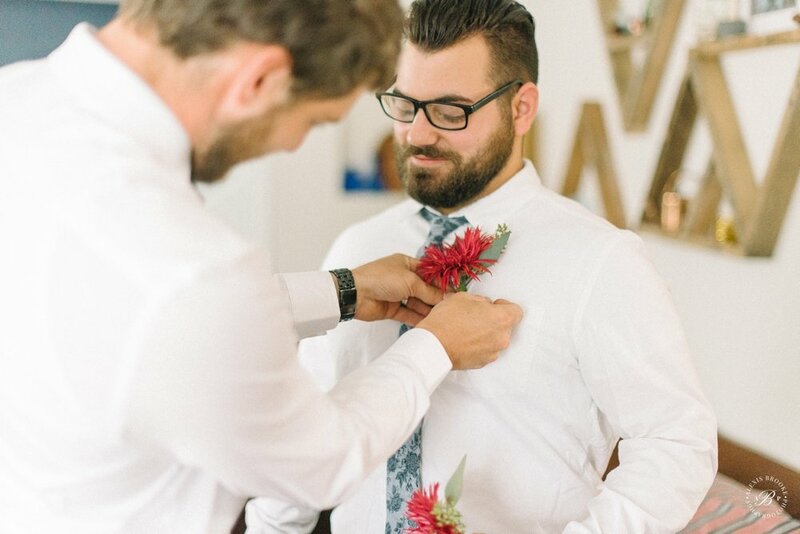 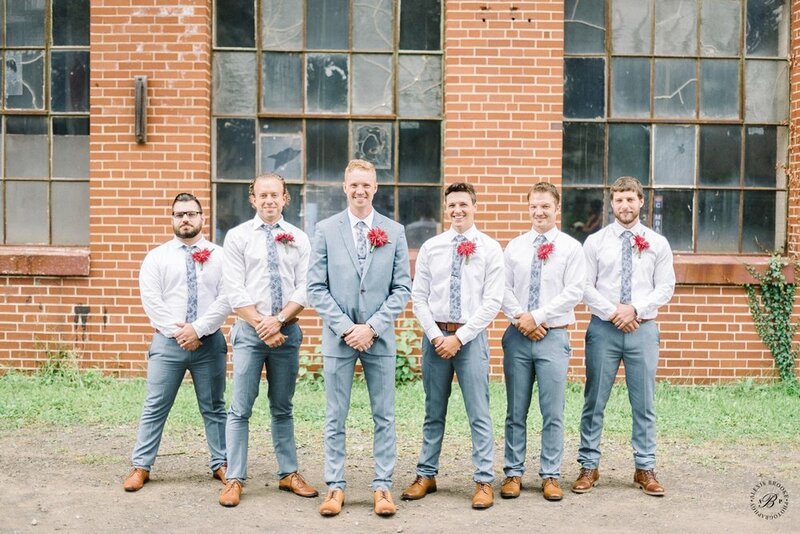 The groom and his groomsmen wore slate grey with a pop of color in their boutonnières to match the bridesmaids’ bouquets. 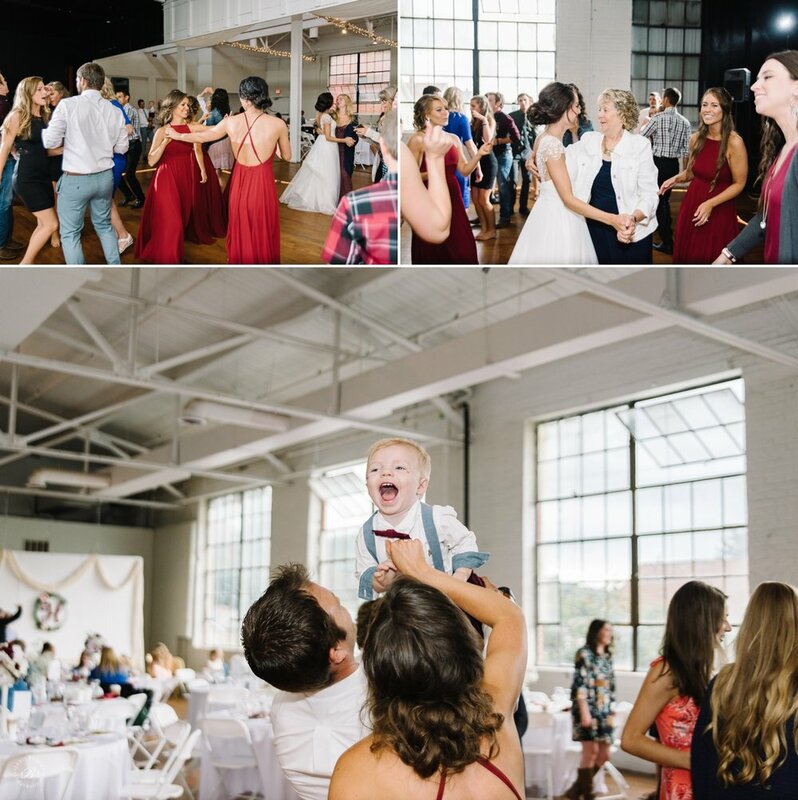 The reception was held at the Pajama Factory and the room was tastefully decorated to fit their personalities and style. 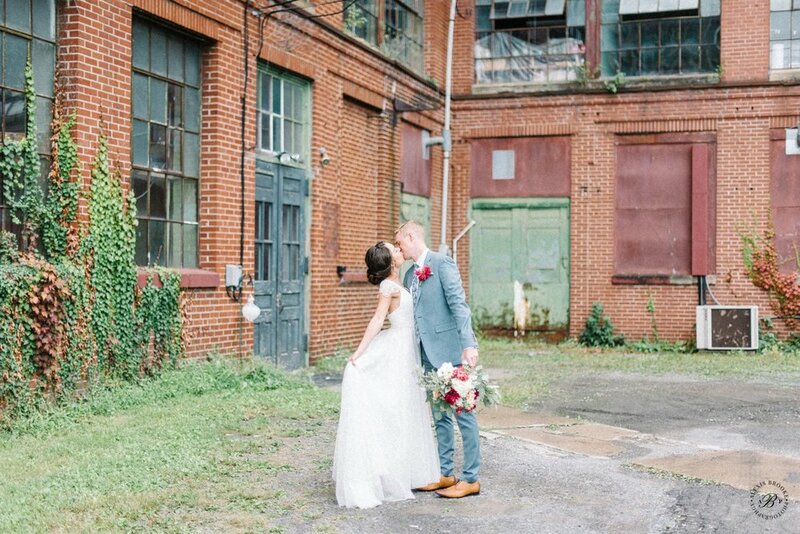 They went with their favorite pattern, marble! 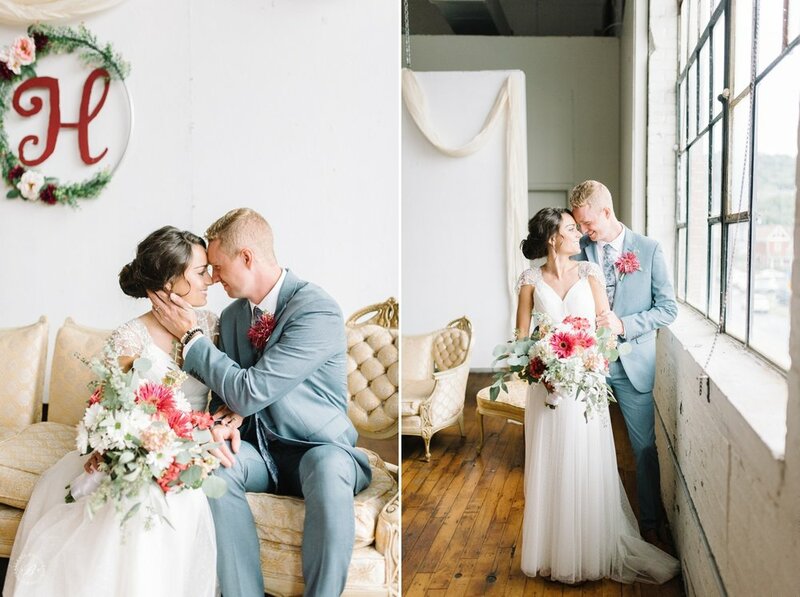 There was a beautiful pop of marble throughout the room. 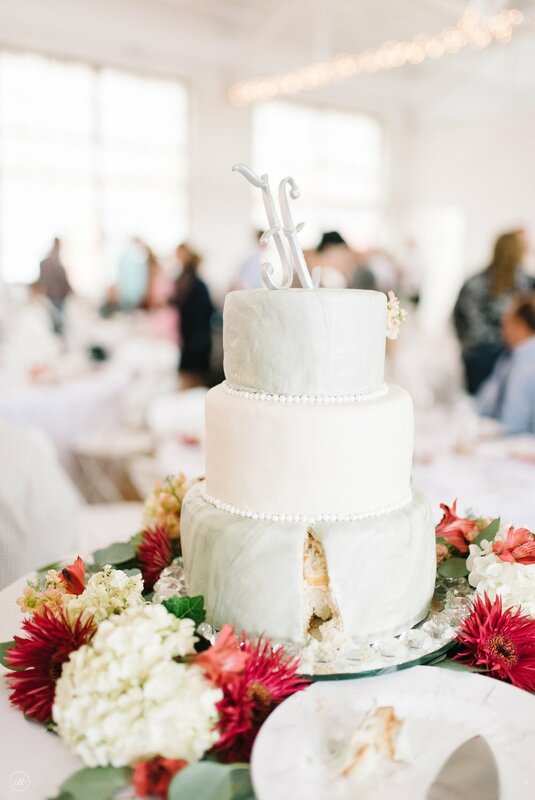 From the cake to the backdrop to even the table numbers, the colors and décor blended beautifully. 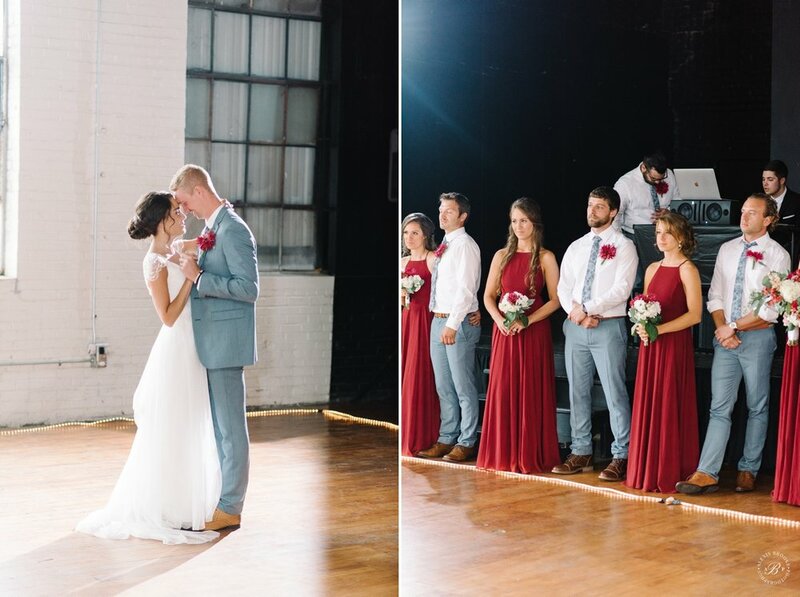 As the couple danced their first dance to Hold On by Michael Buble, you could feel the love in the room. 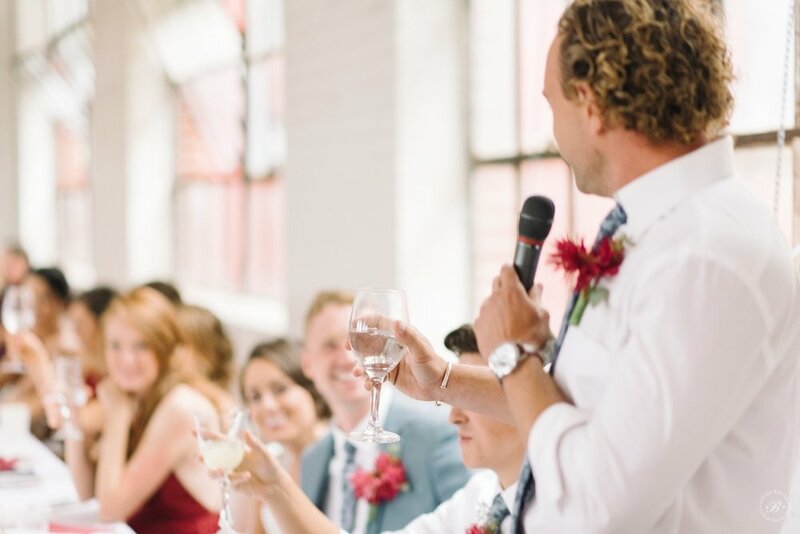 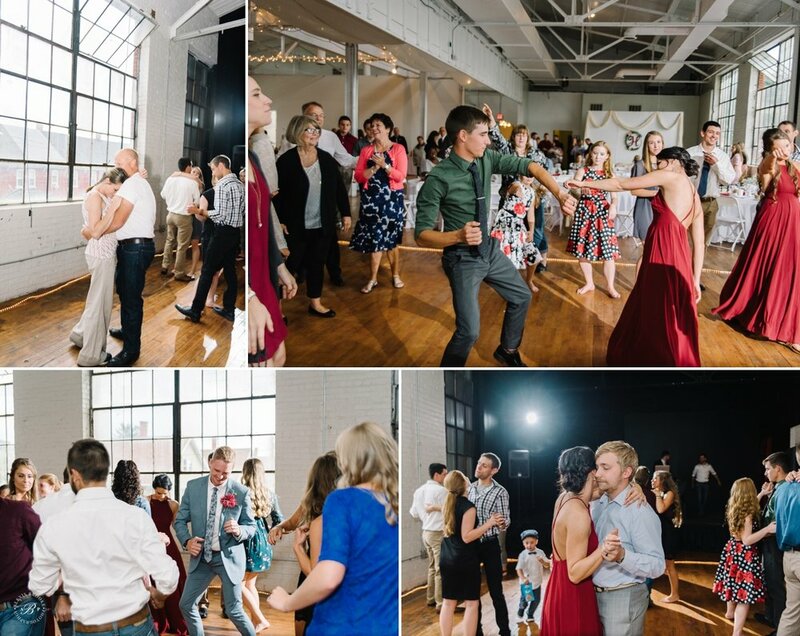 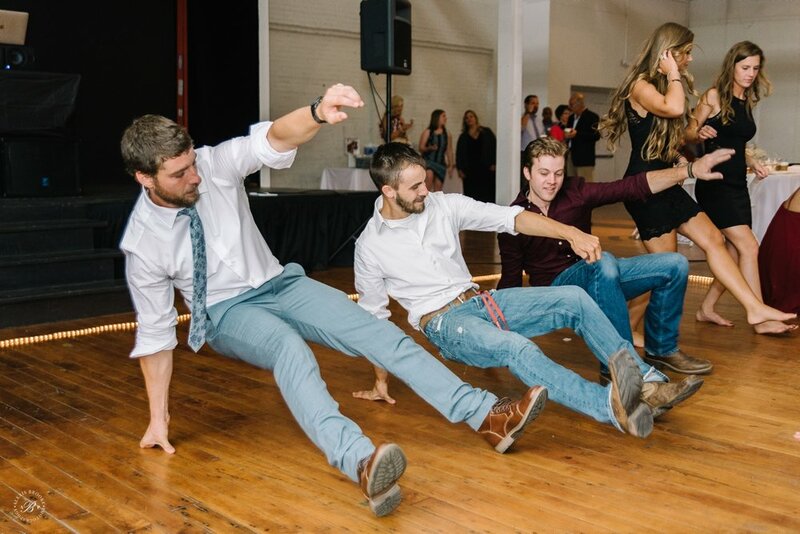 The newlyweds and their guests danced and laughed the night away!